MP1 Multichannel Preamplifier In 1970 the SP-1 stereo preamplifier broke new ground in the high resolution playback of stereo music recordings. A generation later, the MP1 breaks new ground in the high-resolution playback of multichannel music recordings, having been created in response to the proliferation of multichannel SACD and DVD-A players which output six analog channels. The MP1 will be appreciated by the most discriminating music lovers, offering control flexibility and an extraordinarily high level of performance which is simply not available from other multichannel analog or digital products. Although many fine home theater processors can input a six channel analog signal, we have not heard one which performs this task to the highest musical standards. This should not be surprising since these products, by their nature, include a lot of circuitry - unnecessary in this case - for digital video and audio processing. This circuitry typically contaminates the high-resolution analog signals of SACD and DVD-A. Even if the digital and video circuitry is defeated or bypassed, the analog stages of these processors still do not provide the desired musicality and resolution. The MP1 is an elegant and wonderfully musical solution for the playback of these multichannel analog formats. The MP1 was designed for maximum flexibility, with three sets of six channel inputs; two sets are SE, the third offers the choice of XLR or SE connection. Any (or all) of these inputs can be used as a six channel unity-gain-through for use with a home theater processor. There are also four sets of SE and XLR stereo inputs, a stereo Record output, and one set of six channel SE and XLR main outputs. There is, of course, a 12V remote trigger, although the MP1 can be left on continuously for best sonics. With its chassis the same size as a Reference preamplifier, the MP1 is physically impressive. Each of its six channels is on a vertical, modular plug-in board with gold-plated gas-tight connectors. The mainframe chassis contains massive, fully-regulated power supplies utilizing two ultra-quiet transformers. The front panel contains a large vacuum-florescent display on the left, indicating volume control display (in 0.5dB steps) has large, easy to read 3/4 inch numerals with six brightness levels, plus off. When the display is turned off, it can be reactivated (at its lowest brightness level) for ten seconds by touching any button on the remote. On the right side of the front panel is a cutout which contains two rows of six buttons. The top row includes Power, Mute, Processor, Multi 1, Multi 2 and Multi 3. On the bottom is CD, Stereo 1, Stereo 2, Stereo 3, Vol down and Vol up. (This is the first Audio Research preamp with direct access inputs). The remote accesses several additional functions including Level adjustment for all six channels, BAL/SE selection for those inputs with both XLRs and RCAs, Invert (phase). Display brightness, and Stereo/Multi, which outputs two channel stereo from a multi-channel input. Rack mount front panels are available at no extra charge, and handles are available for US$80.00 per pair. As one would expect from a preamplifier of this caliber, many circuit details have been derived from the Reference 2 MKII and LS25MKII stereo line stages. The pure Class-A circuitry is fully balanced in a double-differential design, utilizing all-FET circuits with unity-gain buffers between stages and a double-buffered output. Low-noise, high-transconductance JFETS are used for all audio circuits, with local FET constant-current stabilization for each stage. The audio circuit is DC coupled throughout, with servo stabilization for low offset and subsonic control. The massive power supplies have ten wideband and high headroom audio regulators utilizing constant-current source stabilization. Total gain is 15dB balanced, 9dB single-ended output. Sonically, the six-channel MP1 blends powerful dynamics, high resolution, great frequency extension, and see-through transparency with a relaxed musicality that is much sought after but rarely found. The MP1 will easily complement the most refined two channel music systems and the most outrageous theater systems. The MP1 is an important new product that helps integrate the worlds of two-channel and multichannel music and multichannel home theater in one elegant, easy-to-operate package. 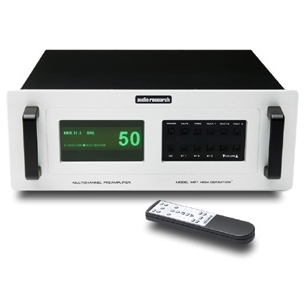 Naturally, it also mates wonderfully with the acclaimed 150M modular multichannel amplifier. Please visit your local Audio Research dealer soon to experience the MP1 firsthand. You will be smitten by its rugged build quality, insightful and involving musical performance and intuitive operation. Control Functions: Volume, Power, Mute, Processor, Mult 1, Mult 2, Mult 3, CD, Stereo 1, Stereo 2, Stereo 3. All functions on Remote Control. Inputs: SE Mult 1, SE Mult 2, BAL/SE Mult 3, BAL/SE CD, BAL SE stereo 1, 2, 3, 12V in/out Outputs: BAL/SE, RF, LF, Center, RR, LR, subwoofer, SE Record Out MP1 Specifications: FREQUENCY RESPONSE: Line: +0-1dB, 0.1Hz to 40kHz at rated output. -3dB points below 0.06Hz and above 70kHz. DISTORTION: .01% at 2V RMS Balanced output. 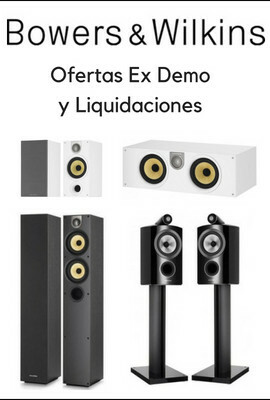 GAIN: Main Output: 15dB Balanced, 9dB SE. Tape Output: 0dB. Processor Output: 0dB Balanced. INPUT IMPEDANCE: 150K ohms Balanced, 75K ohms SE, Inputs (7): MC1 (SE), MC2 (SE), MC3 (SE), CD, STEREO 1, 2, 3 (BAL, SE). OUTPUT IMPEDANCE: 400 ohms Balanced; 200 ohms SE Main, 10K ohms minimum load and 5000pF maximum capacitance. Outputs(3): 6 Main Bal, 6 Main SE, 1 Recrod SE. OUTPUT POLARITY: Non inverting. MAXIMUM INPUT:14V RMS maximum Balanced. (7V RMS SE). RATED OUTPUTS: 2V RMS (iV RMS SE) into 200K ohm Balanced load (maximum Balanced output capability is 12V RMS at 1% THD at 1kHZ). CONTROLS: Volume (104 stesp), Power, Mute, Proc, Mult 1, Mult 2, Mult3, CD, Stereo 1, Stereo 2, Stereo 3. All function on Remote Control. 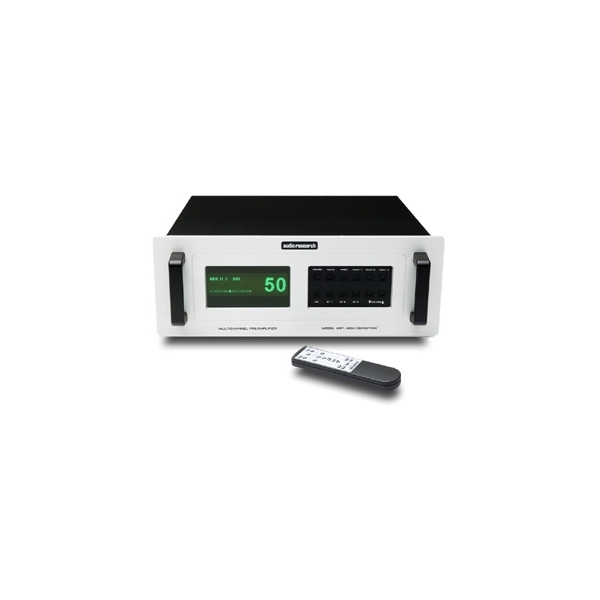 POWER SUPPLIES: Electronically regulated low and high voltage supplies. Automatic 45-sec. warmup mute. Automatic brown-out mute. NOISE: 35uV RMS residual IHF-A weighted Balanced noise output with gian control at minimum. (95dB below 2V RMS output). POWER REQUIREMENTS:100-135VAC 60Hz (200-270VAC 50/60Hz) 90 watts maximum. DIMENSIONS: 19" (48 cm) W x 6.97" (7.6 cm) H x 15"(37.9 cm) D. Handles extend 1.50" (3.8 cm) forward of the front panel WEIGHT: 20.4 lbs. (9.2 kg) Net; 33.6 lbs. (15.2 kg) Shipping. Specifications subject to change without notice.